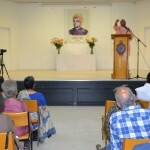 The Vendanta Centre of Australia, SA chapter and the Overseas Friends of BJP, SA Chapter jointly organised a seminar on “Swami Vivekanada’s teachings and its relevance in Modern Times” at Burnside Community Centre. Designed as a thought provoking interactive workshop rather than an entertainment or cultural event, the seminar saw several speakers from various social backgrounds present their perspectives on the topic. 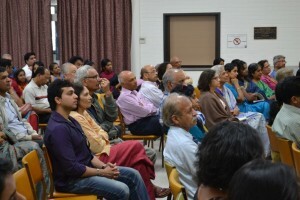 The event was well attended by more than 90 professionals and local community leaders. 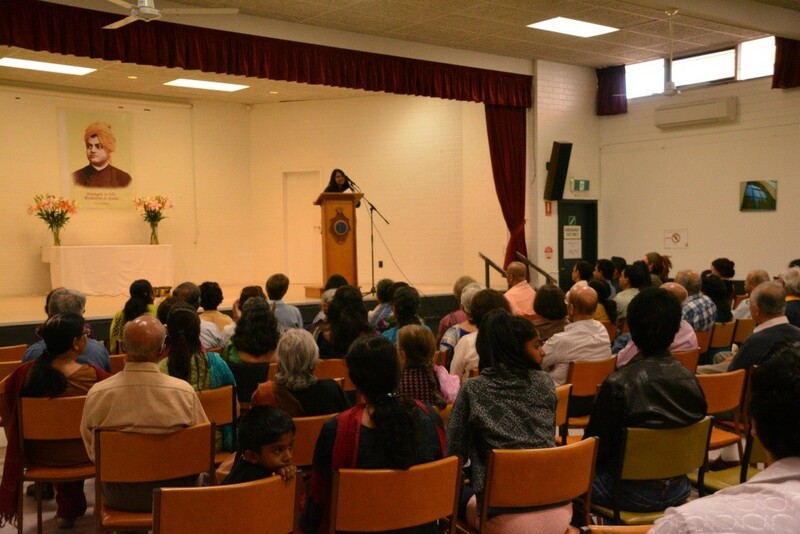 Rajini Vasan, CEO of Blind Sporting Council and a member of the SA India Advisory Council emceed the event. 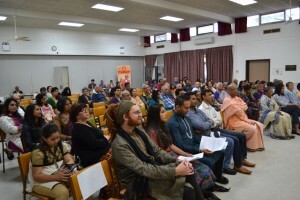 The seminar commenced with the Shanti prayer by the members of Vedanta Centre of SA, followed by a speech from Chirag Trivedi, State Co-ordinator of OFBJP. 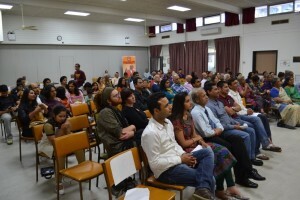 Chirag focussed on the various charitable activities planned in Adelaide under their banner including sponsoring 5 schools in India, blood donation camp and walkathon fundraiser in Adelaide. 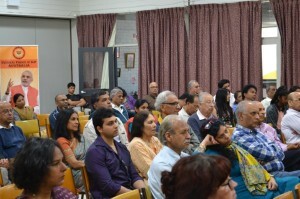 Chief guest Speaker, Swami Sunisthananda made a special trip from Sydney especially for this seminar. 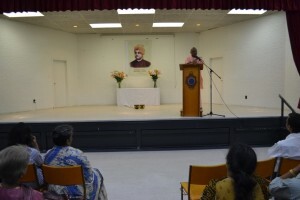 Swamiji Sunishthanada represents Vedanta Centre in Sydney that is affiliated to Ramakrishna Mission, Belur Math, and Calcutta, India. 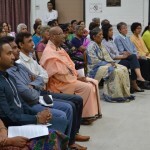 Swamiji joined the order in 1991 and has been mainly associated with educational intuitions run by The Ramakrishna Mission in India and Fiji. He has also been involved in welfare activities of the mission. 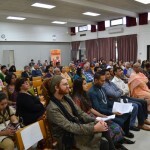 Swamiji arrived in Sydney in February 2013, and has since been involved in numerous activities organised by the Vedanta Centre of Sydney and its various chapters. 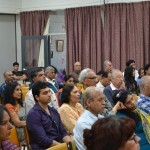 At the seminar, Swamiji spoke in 2 sessions on the various synthesis or dual polarities in Swami’s teachings and their interpretations. He was also very generous with his time taking questions from the floor for well over an hour. 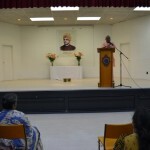 Swamiji explained the meaning of Bharat” which was unknown to most people. 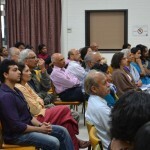 Bharat means the “integration of knowledge” (Bha means knowledge and Rath is integration). He suggested that we should do everything in our life with Divinity (Devatva). Swamiji also clarified that charity should help someone become self-reliant, not increase their dependence and that education was one of the best ways to achieve that financial freedom. 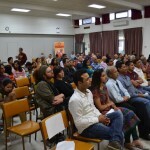 Dr Steven Lord from Vedanta Centre of Australia discussed the vision and mission of the SA Chapter of Vedanta. Dr Steven is a scientist and also the published author of a monograph in pure mathematics. Outside of Defence he has worked with the Environment Change Institute at the University of Oxford on developing regional climate change scenarios for policy makers. 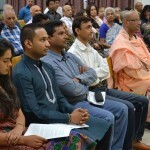 He became vegetarian, started studying yoga and doing daily meditation at age 21 and has been a member of the Adelaide Chapter of Vedanta Society since 2011. Chirag also mentioned that the OFBJP if not just focusing on the charity work in India but also planning to organise the charity walk “Walk for the Blind” to raise donations for the Blind Sporting Council and a blood donation camp on the 26th January which is Indian Republic Day. 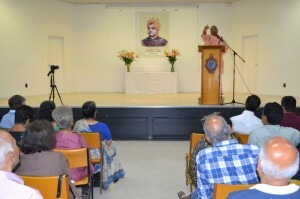 In his presentation, Dr Raman Sharma, Secretary of Vedanta Centre of Australia, SA Chapter, discussed the life story of Swami Vivekananda. He also mentioned that the idea of involving speakers from our community emerged at the local coffee shop. 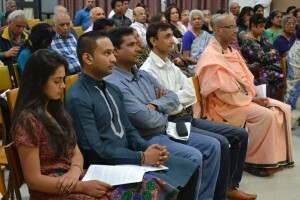 Three young speakers, Wilbur Glenn Colaco, Arjun Tokhi and Takila Wood, representing the student community, were invited and discussed their understanding of Swami Vivekanand’s teachings and how it translated into positive values and decisions in their own lives. 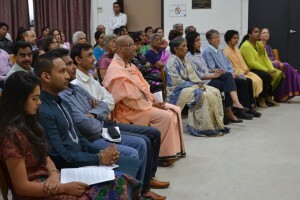 They highlighted the relevance of Swami’s teaching in this day and age and how to apply those ideologies in our day to day life amidst a busy, technological environment. Dr Nitin Bhise passed the Vote of Thanks with a personal remark that this was one of the best seminars he has attended thus far. Sorabh Chadha from OFBJP SA expressed his view about the Swami Sunisthananda’s speech during the event. He said, “First time in my life”.